We are CrossRef memeber. 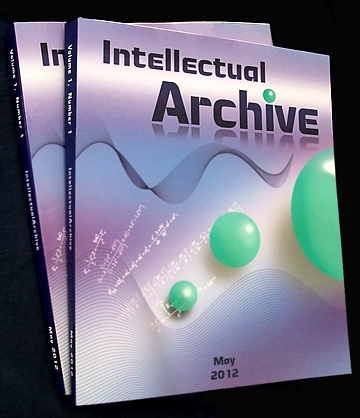 Each article printed in the "IntellectualArchive" journal obtains DOI. The "IntellectualArchive" multidisciplinary journal publishes selected full-text articles in Astronomy, Physics, Mathematics, Biology, Economics, Linguistics and Computer Science. The "IntellectualArchive" is distributed to major libraries across Canada and the US, including Library of Congress, USA, Library and Archives Canada and others. Our Editorial Board includes leading scientists (among them - academician and several professors) from universities and scientific centres in USA, Canada, Czech Republic, Russia and Ukraine. Our authors are prominent scientists from various universities and scientific organizations from all around the world, including USA, Russia, Australia, Germany, France, Israel, Italy, Japan, Ukraine and other countries. Joint Institute for Nuclear Research, Dubna, Moscow region, Russia. Our publishing activity is guided by 'Publication Ethics and Publication Malpractice Statement', which you can review HERE. Please note, we do NOT require exclusive copyright transfer for the inclusion of your paper in our "IntellectualArchive" journal. This means that in addition to your archival and printing benefits, you may still submit your work to any other online or offline publisher. We can also print the Certificate of online publication and mail it to your postal address. Our certificate can be very useful for you in case of any copyright disputes or as printed confirmation of your scientific publications. Please see details in the item 12 below. Below are the links to the issues published in 2015-2019. 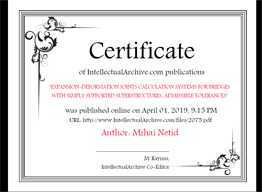 Currently we accept articles for publication within the April/June 2019 issue of "IntellectualArchive" journal. The deadline for the inclusion of your article into the "IntellectualArchive" journal is May 25, 2019. The publication of full-text articles is offered at only $24.99 for papers up to 5 pages in length. 1. To submit your article for publication - please select the branch and area corresponding to your article. 2. You may also choose the appropriate Subject from the drop-down list below (optional). If you do not find a suitable Subject - simply type it into the box below. 4. Enter the Abstract text (no more than 2000 characters). 5. Upload the file with the article you wish to be published in the journal. Your file should be no more than 7 MB. We accept .pdf, .doc, .docx and .txt formats. It is OK to combine multiple files into one WinZip or WinRar archive. 6. All personal details (with the exception of your e-mail address) are optional. 7. Please specify if you want to send the Abstract of your article to libraries of Canada and the USA (free). I want to send the Abstract to libraries of Canada and USA. 10. To verify that we are dealing with humans (and not with robot spam submissions) please enter the following numbers into the box below (no spaces). 11. 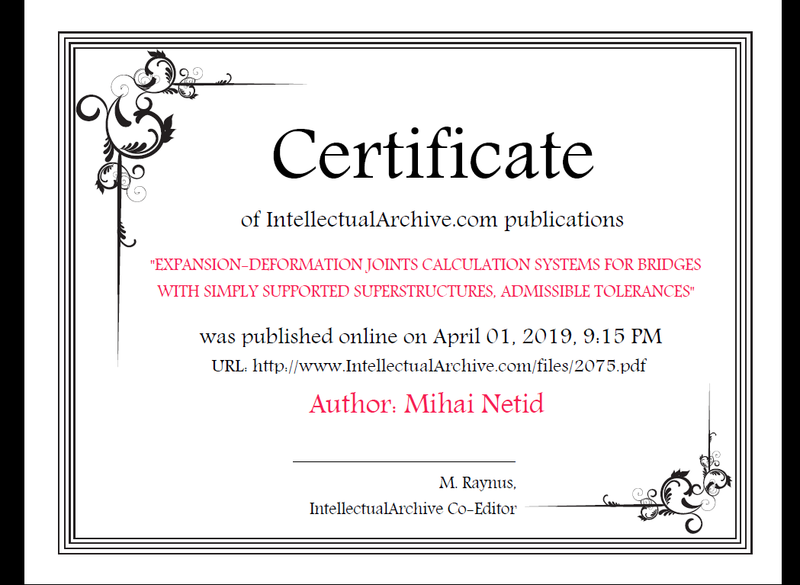 To print your full textual article within the "IntellectualArchive" journal please pay the amount corresponding to your article length. The printing and distribution of the journal is offered at a very reasonable price ($5 per page, 5 pages minimum). Attention authors. Please let us know if you wish to order your copy of the printed journal. This costs $20 plus delivery charges in accordance to www.CanadaPost.ca. Remember, you also have the free option to print the journal copy by yourself. After publication the .pdf version of the journal will be available for free download. This allows you to download the .pdf file to your computer and to print it by yourself or in printing shop directly in your city instantly and without any postal expenses. * If you do not have a PayPal account you may still pay with a credit or debit card as a PayPal guest or use the "MoneyGram" or "Western Union" services. Please contact us for details. 12. To order the printed Certificate of online publication with mailing to your postal address, click the PayPal button below.